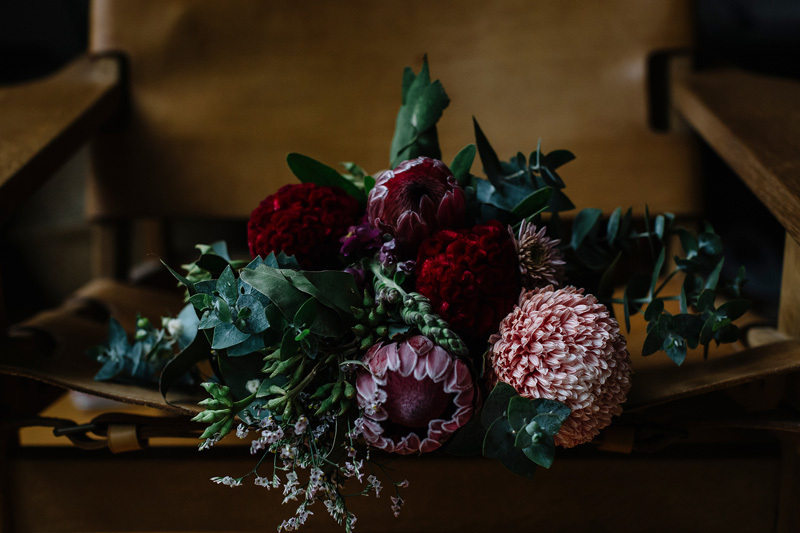 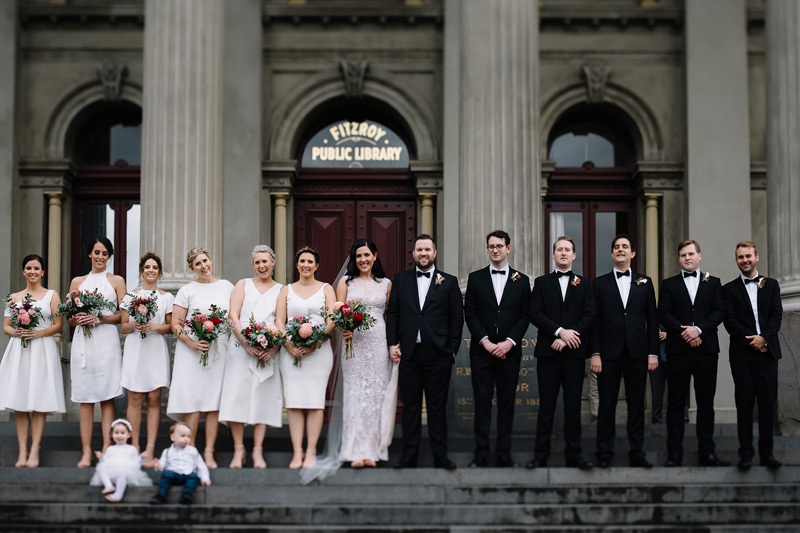 This Melbourne Town Hall wedding has us all wrapped up in its moody tone, gorgeous details and historic charm. 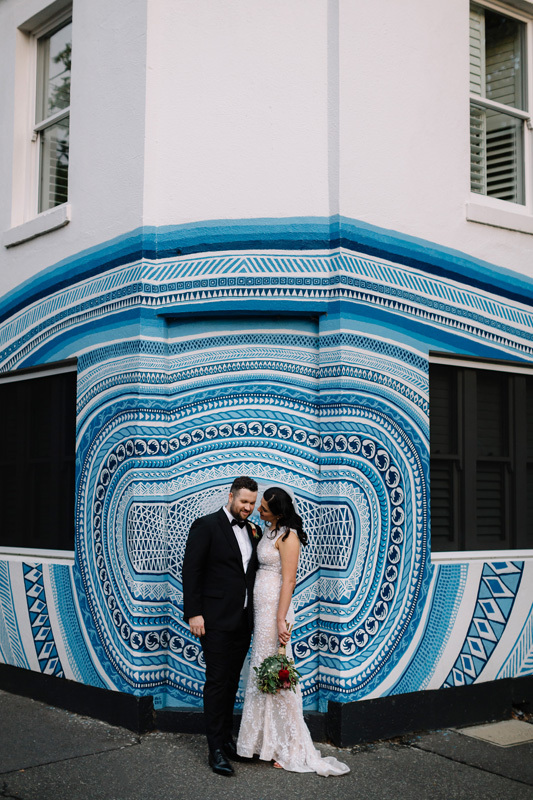 Cassie is a textile designer and her now-husband Chris works in public relations. 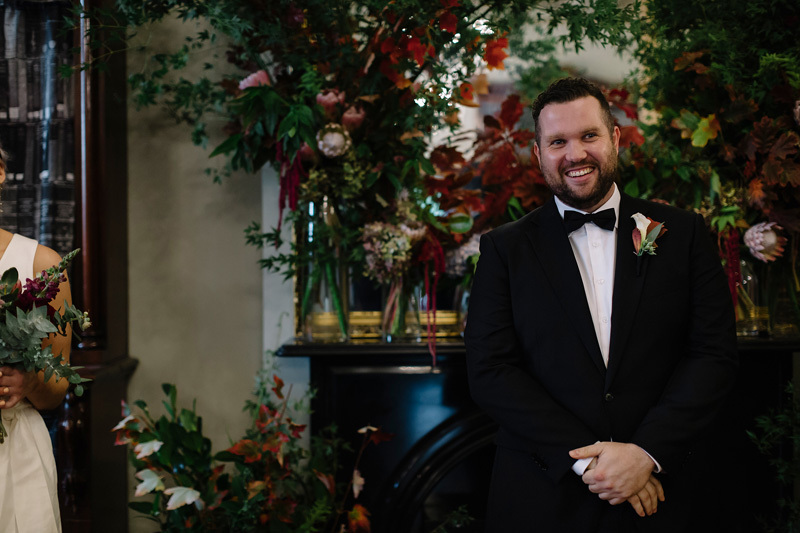 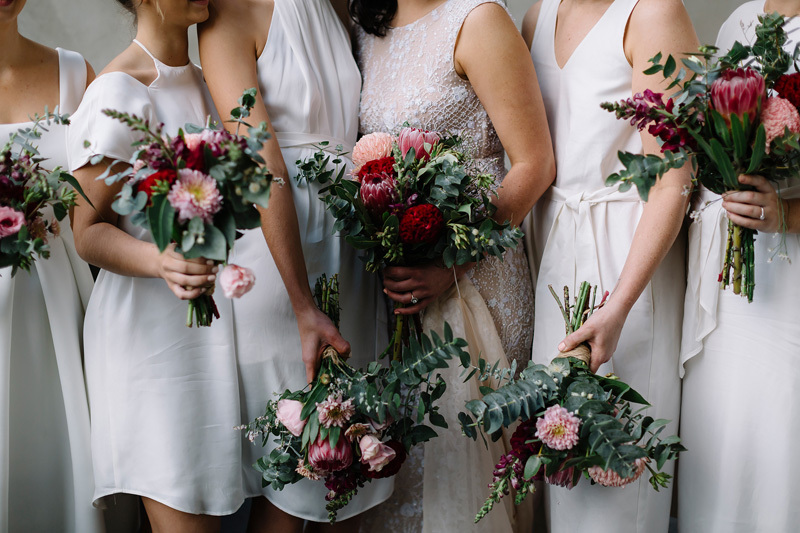 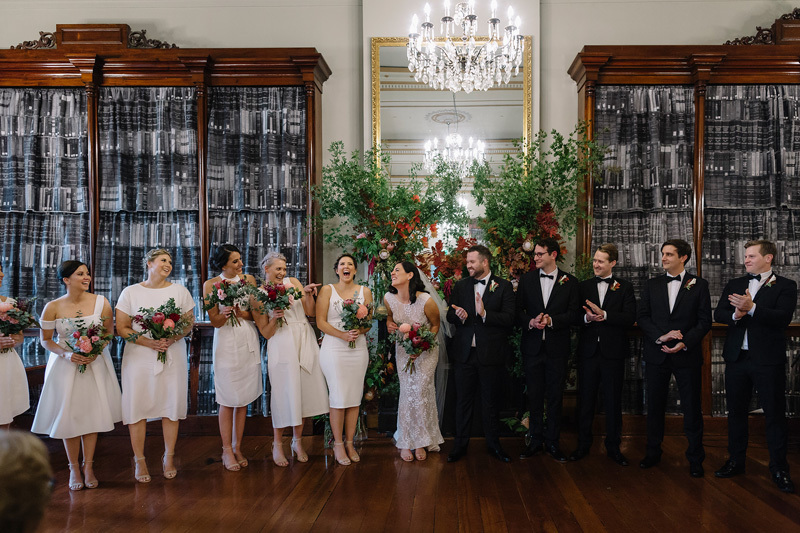 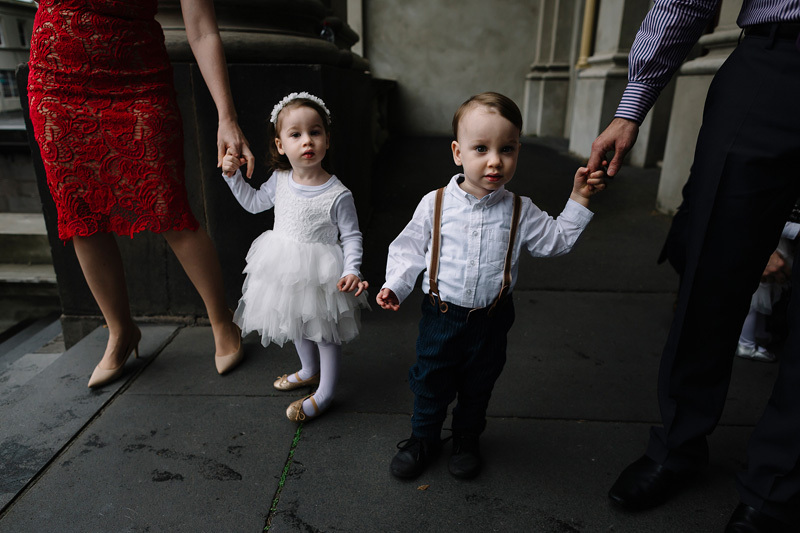 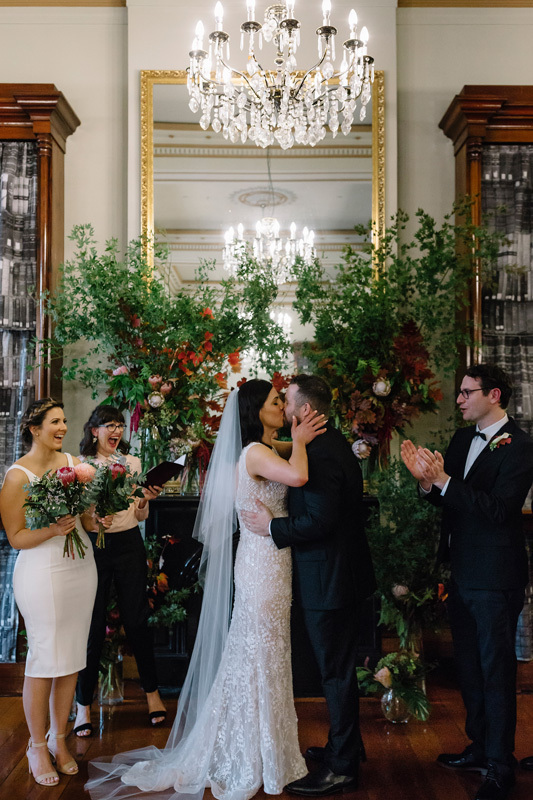 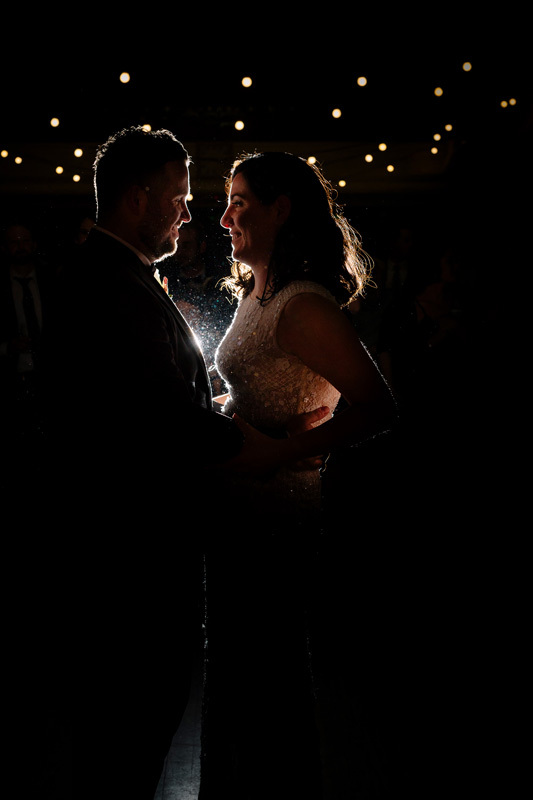 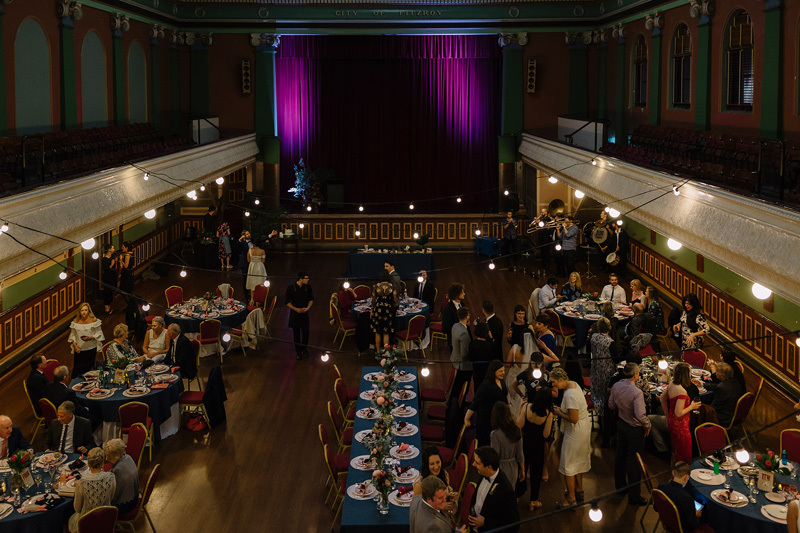 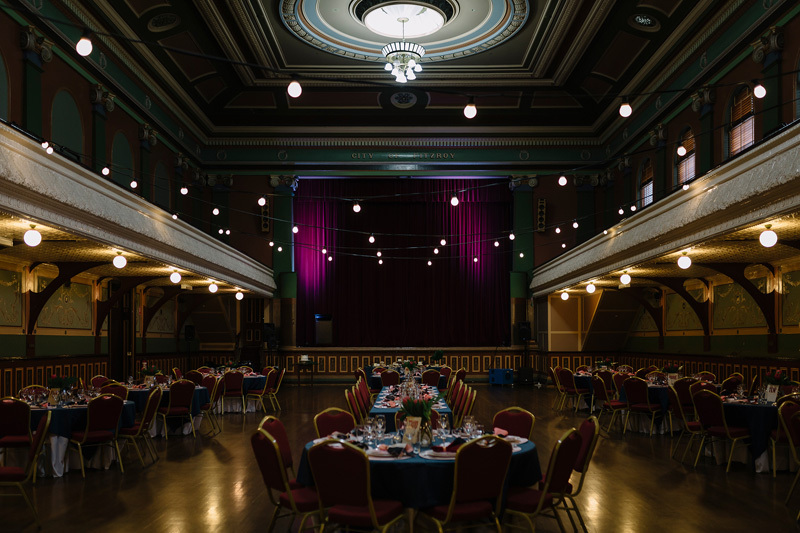 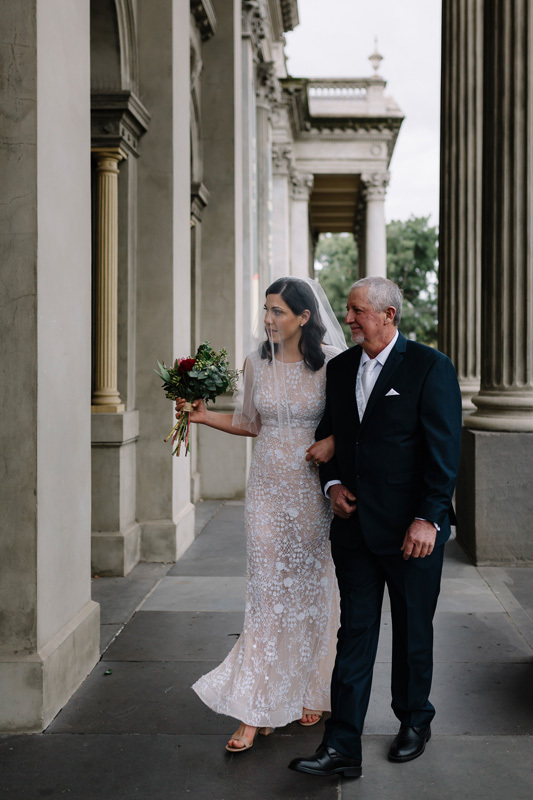 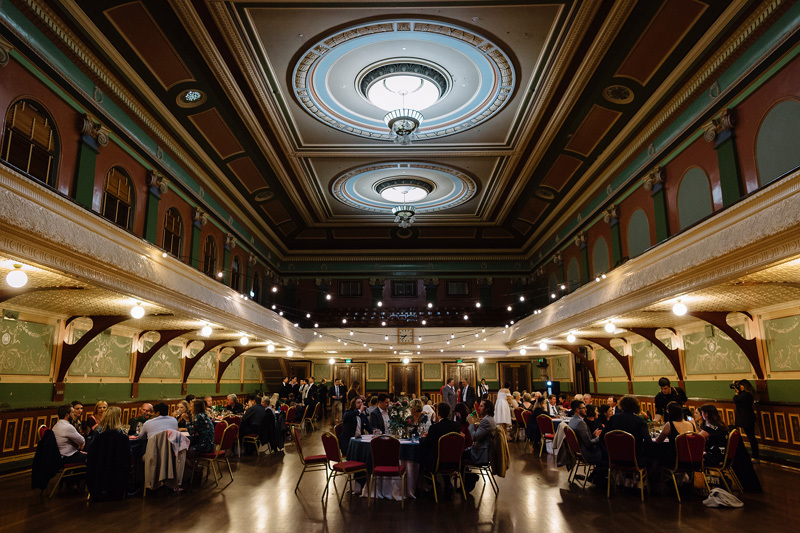 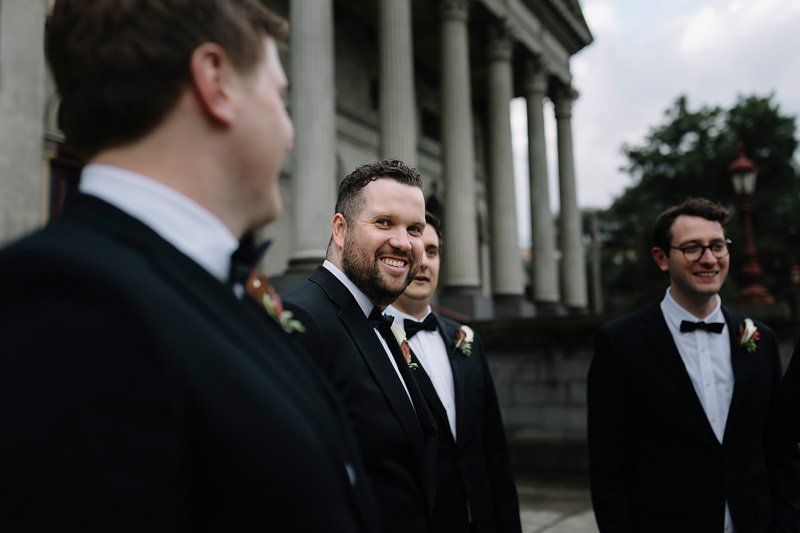 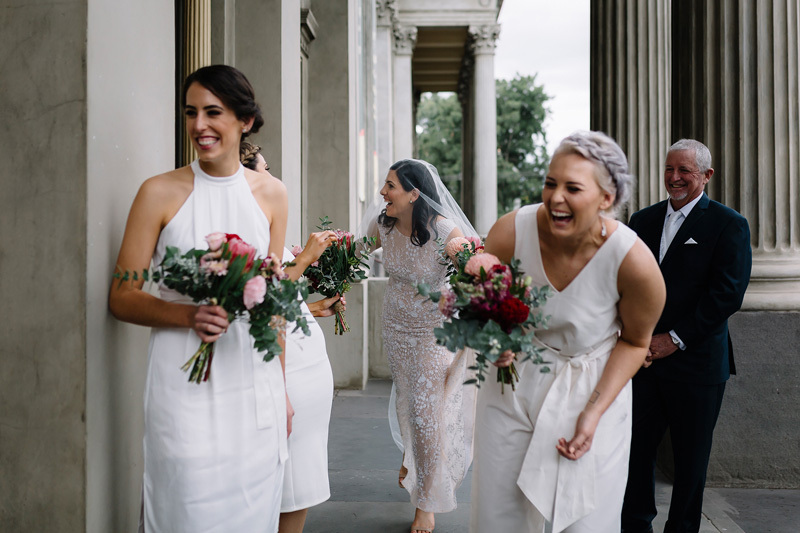 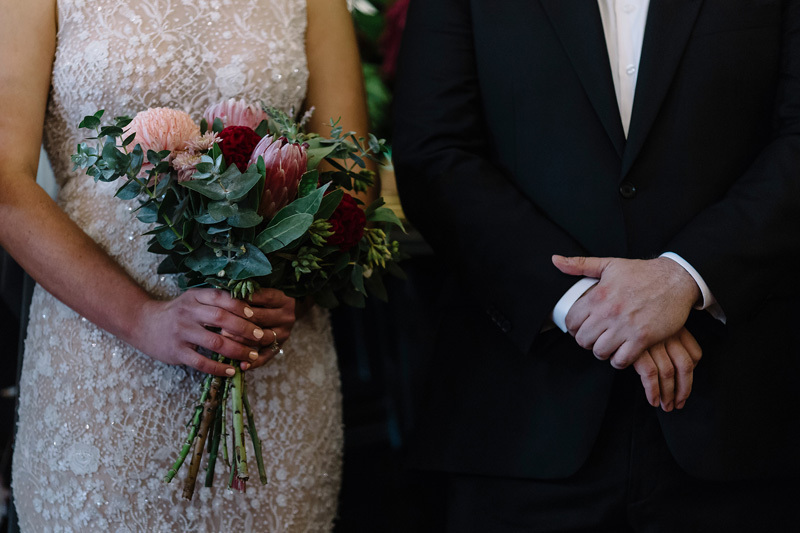 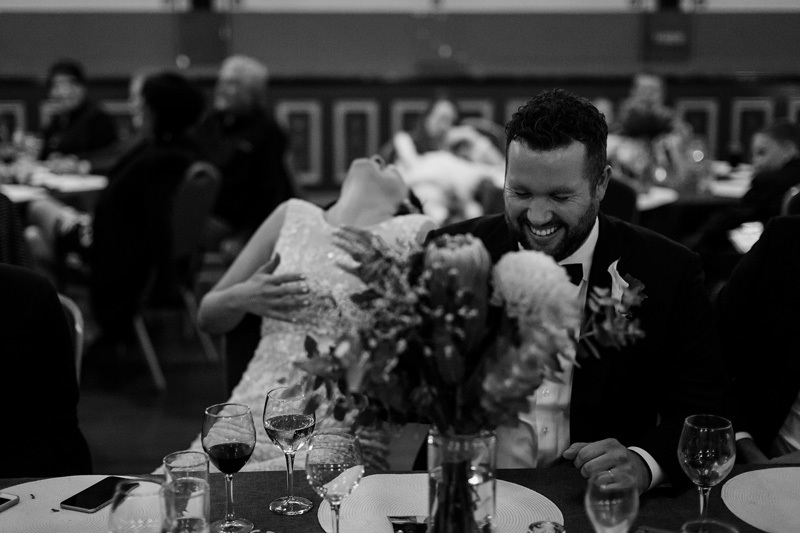 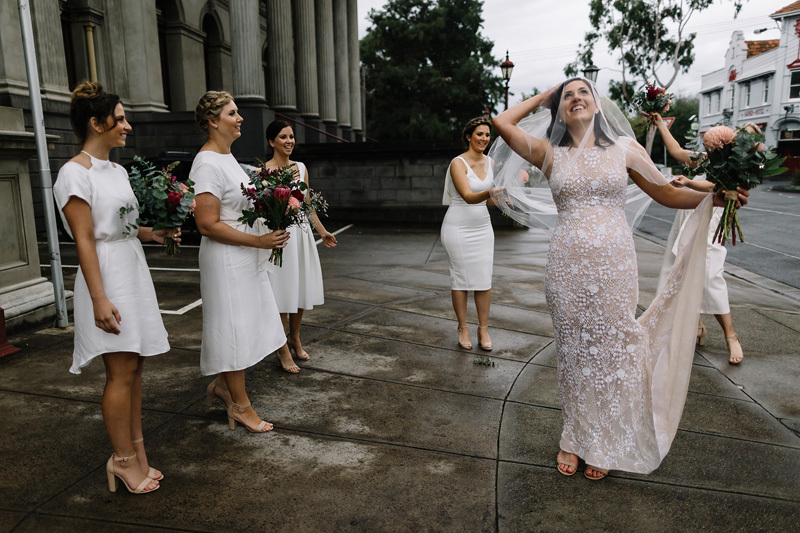 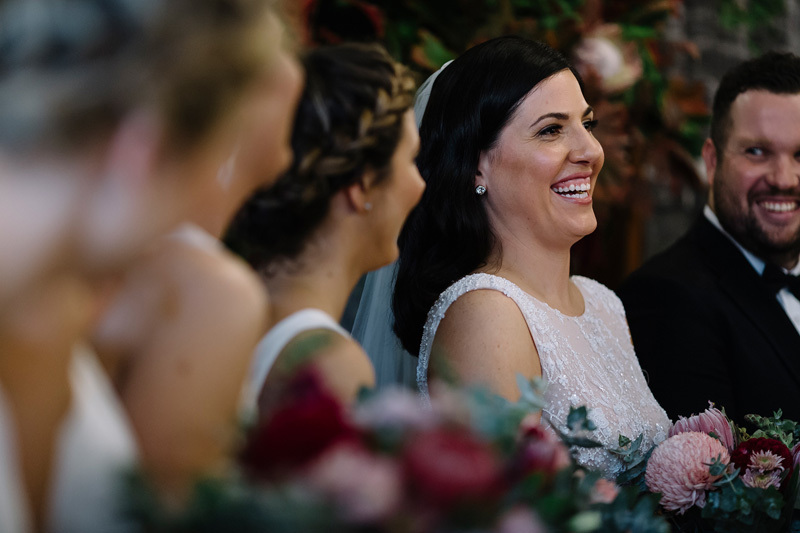 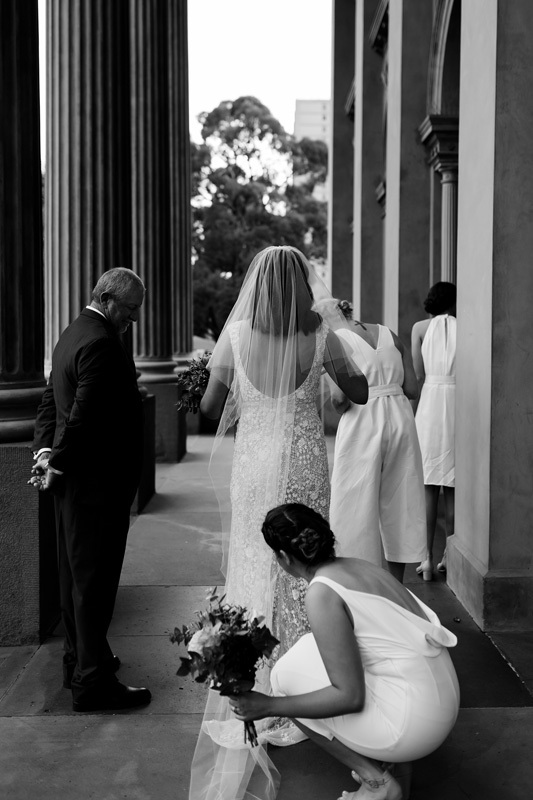 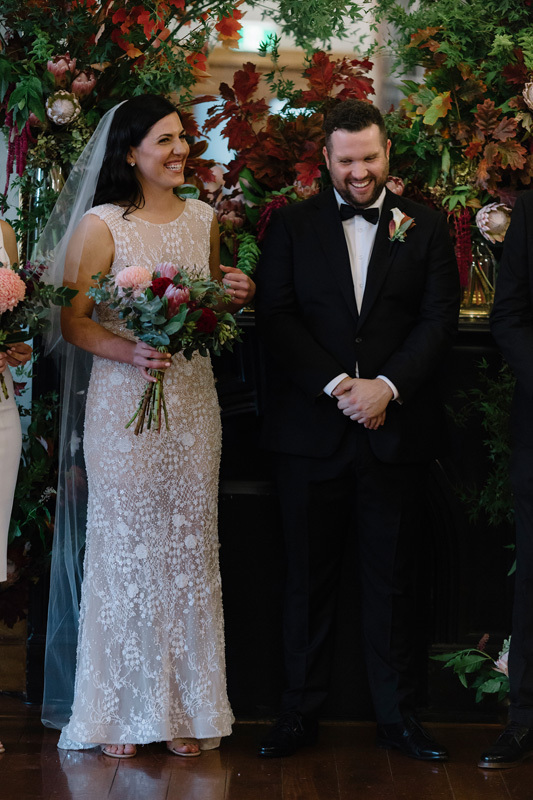 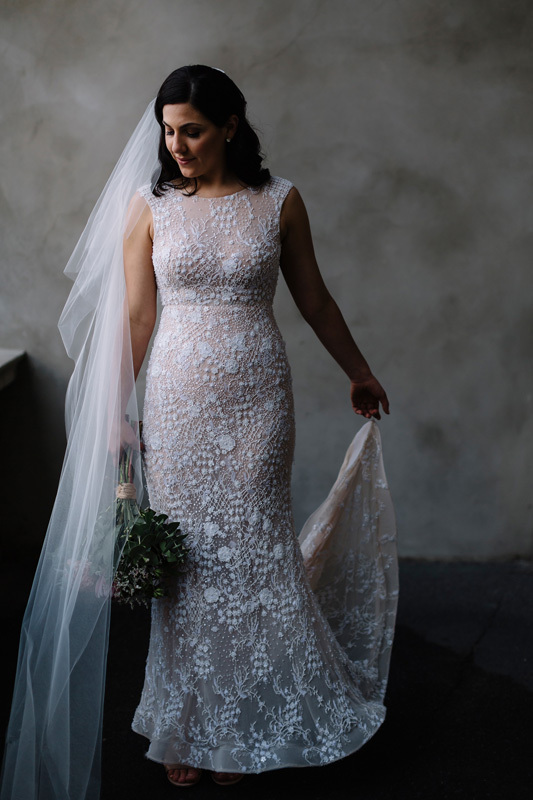 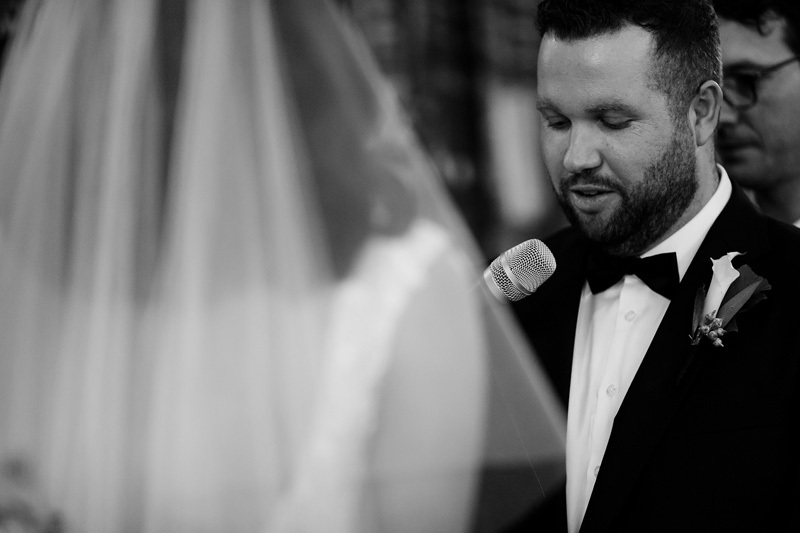 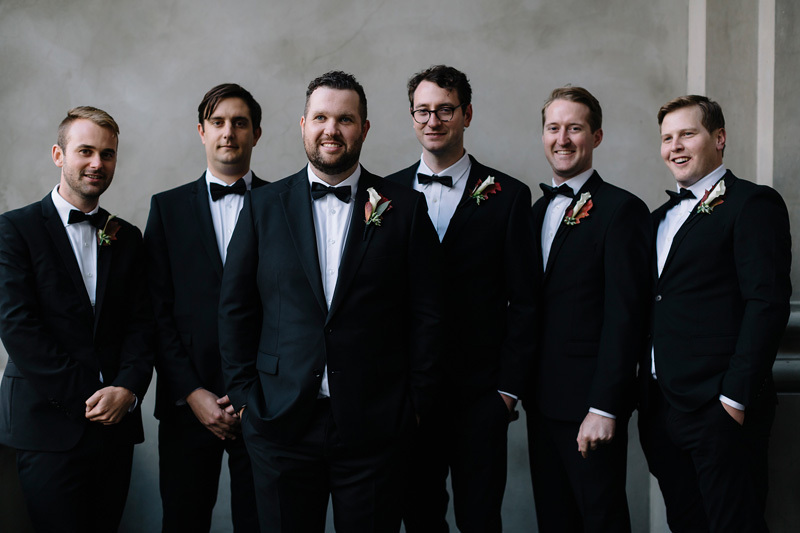 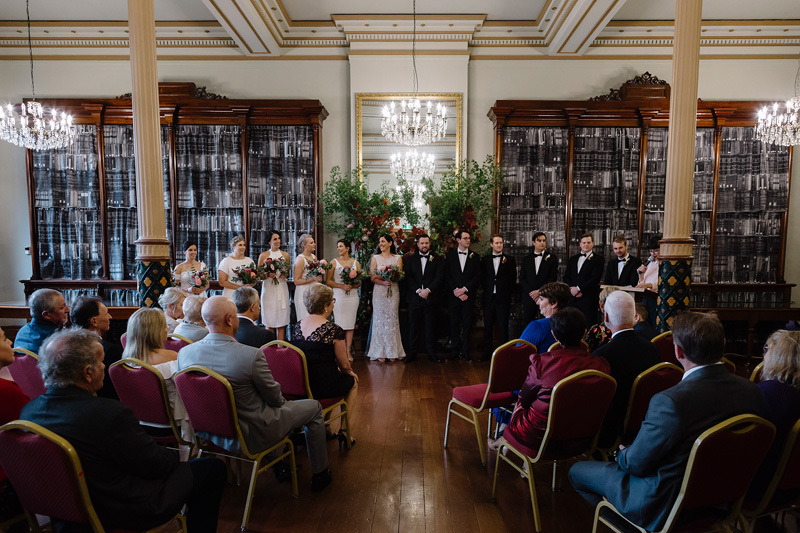 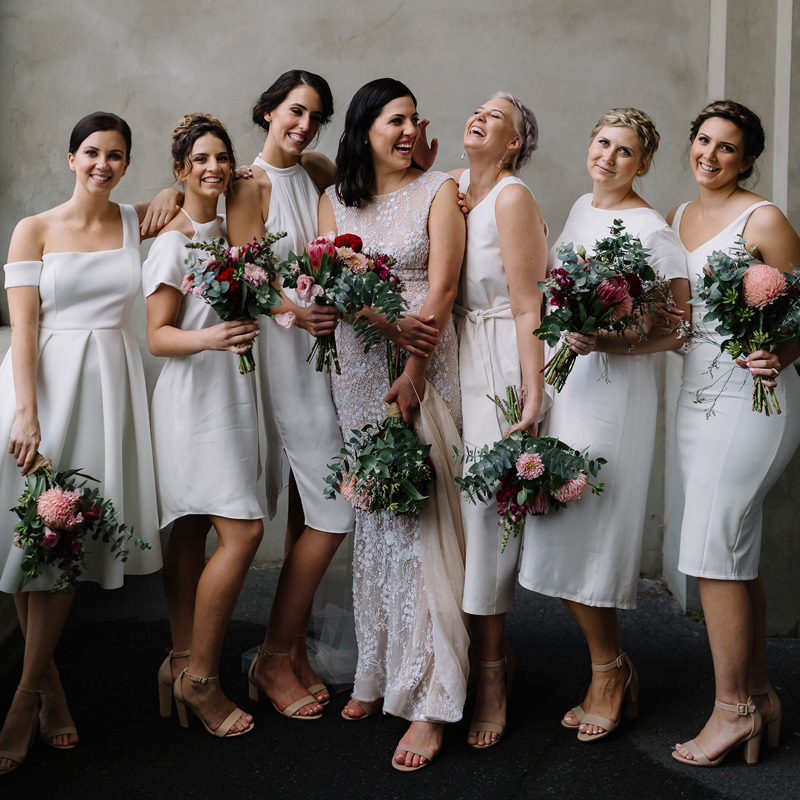 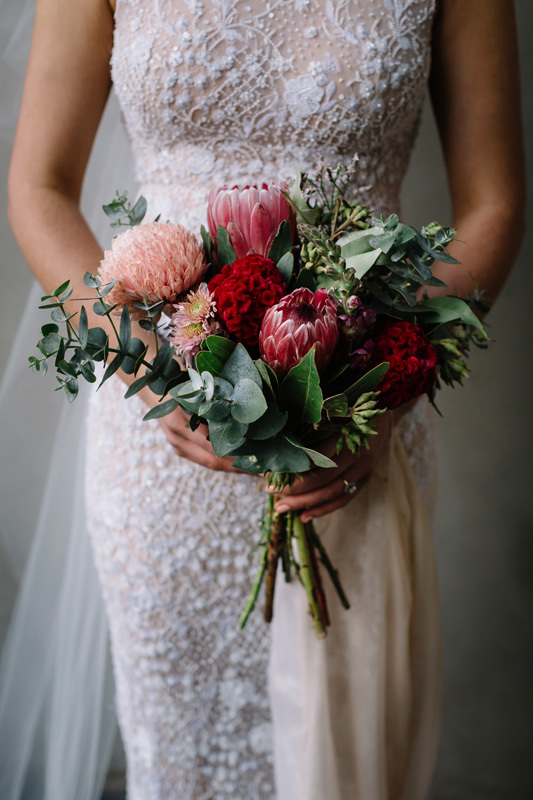 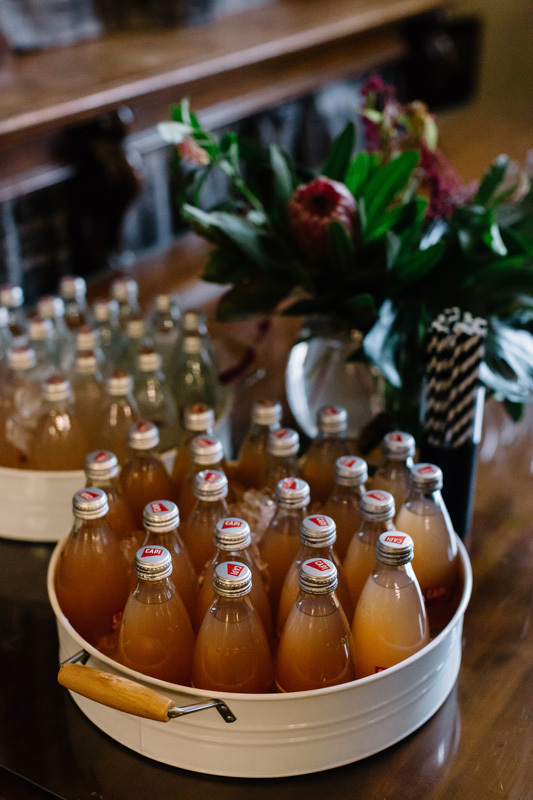 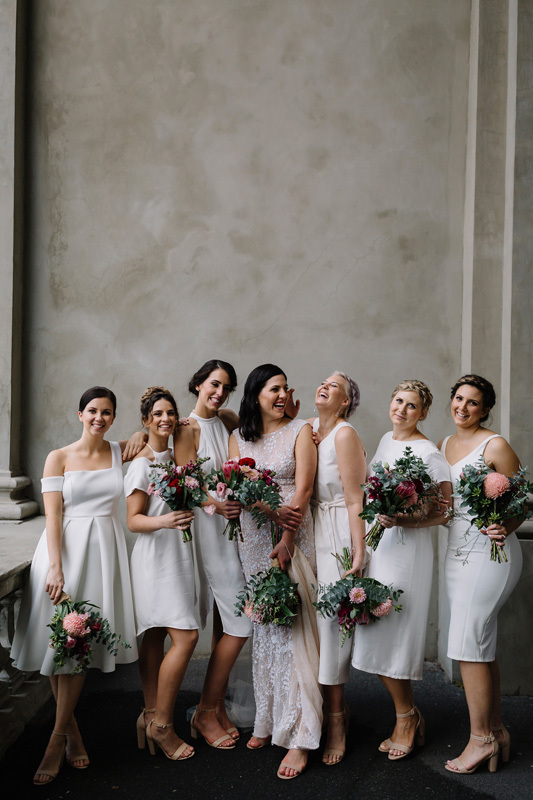 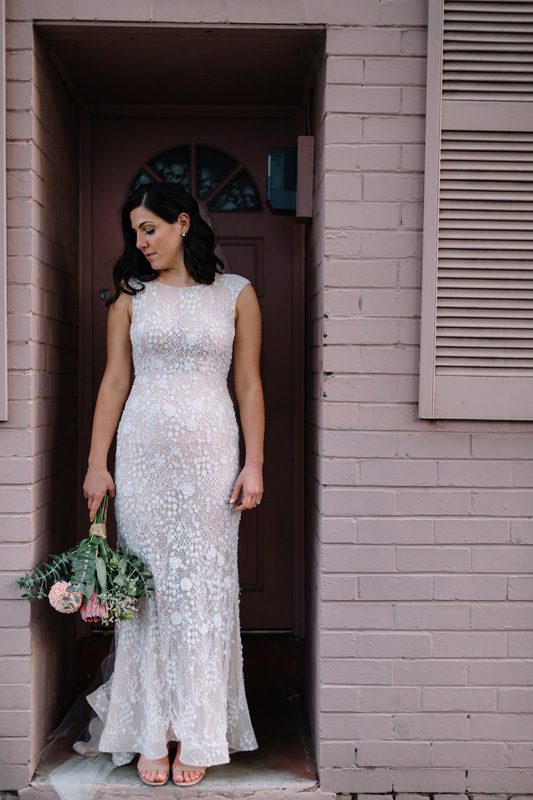 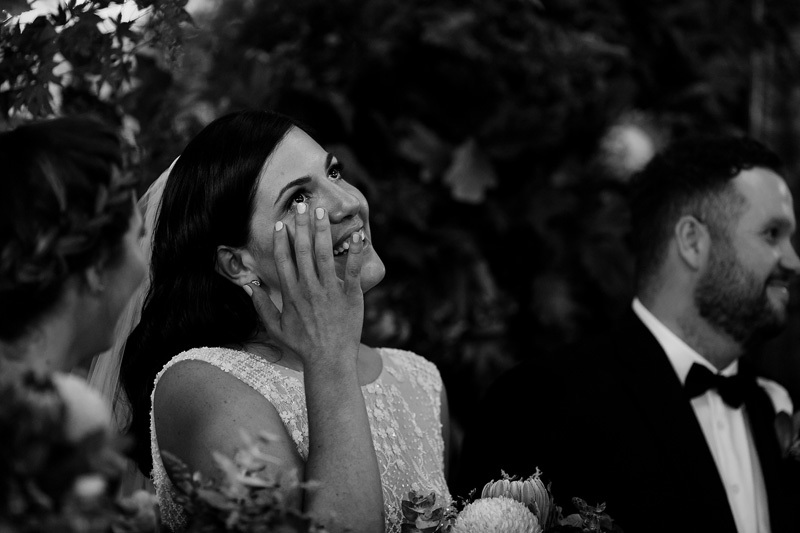 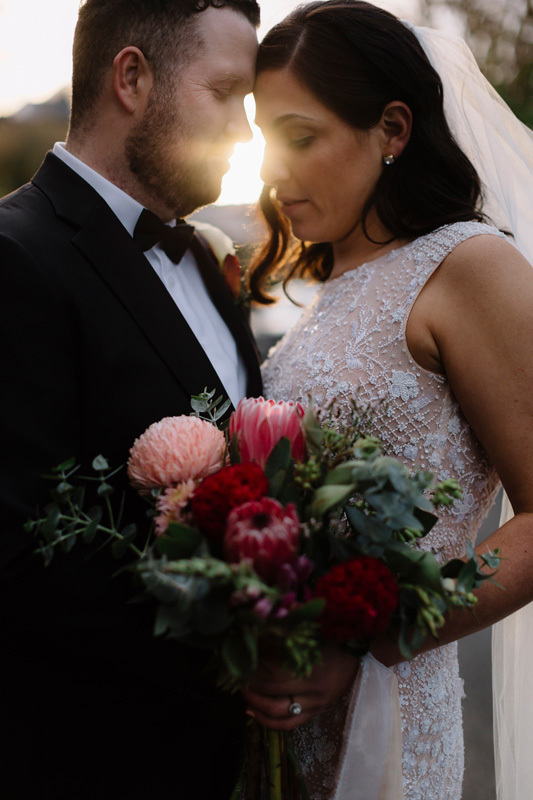 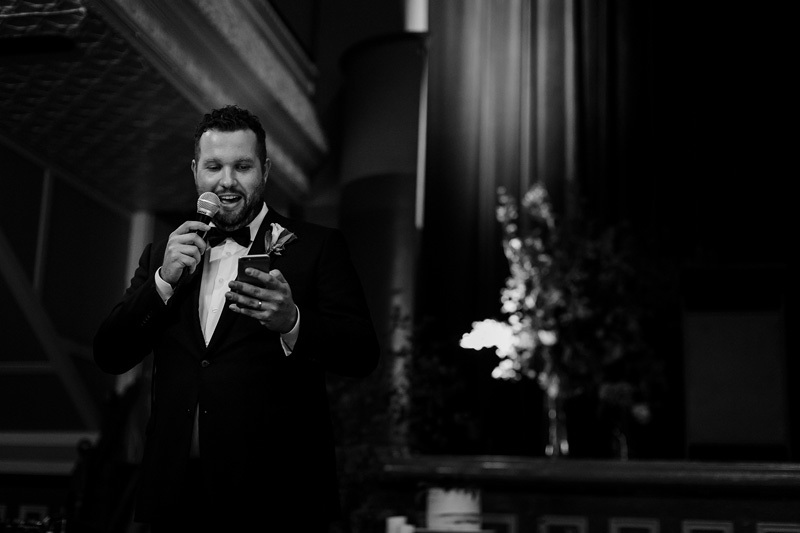 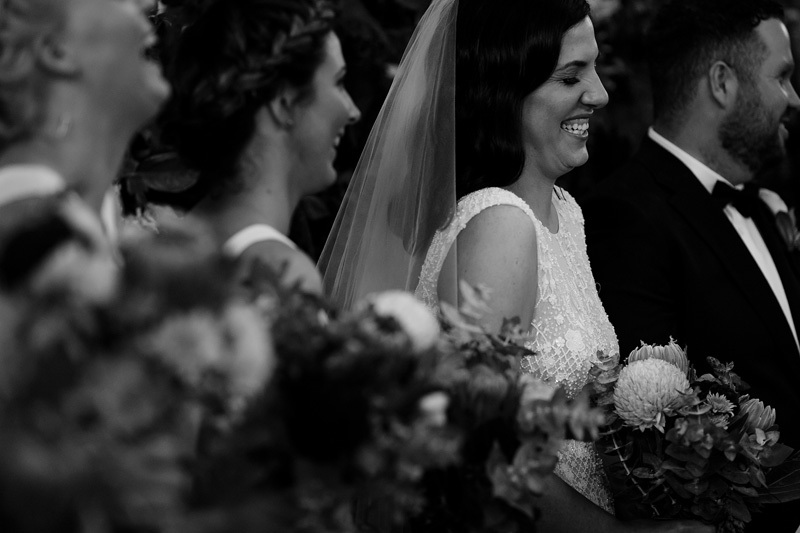 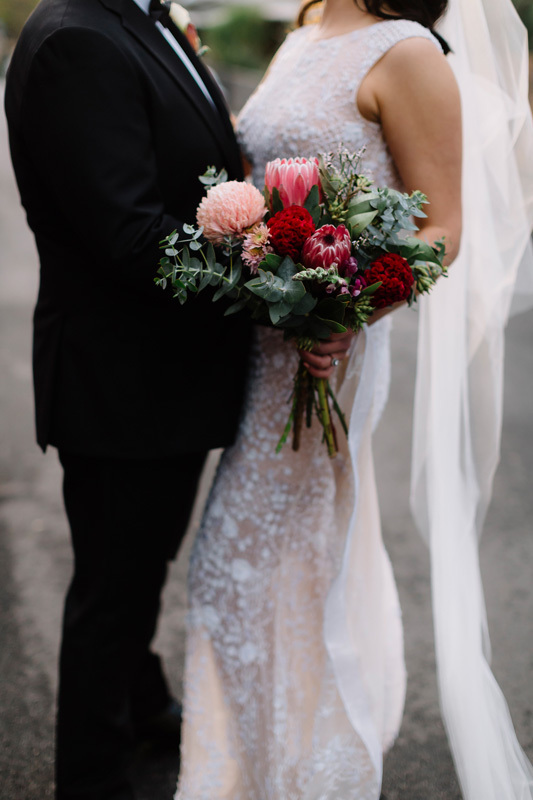 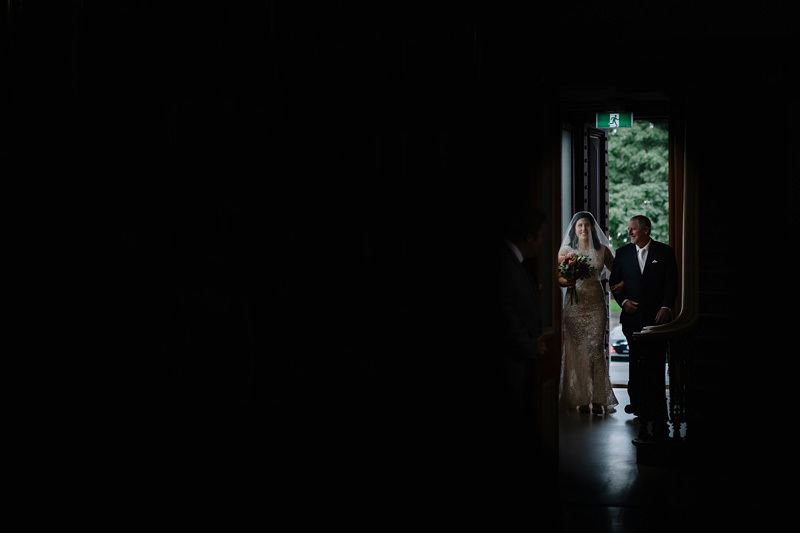 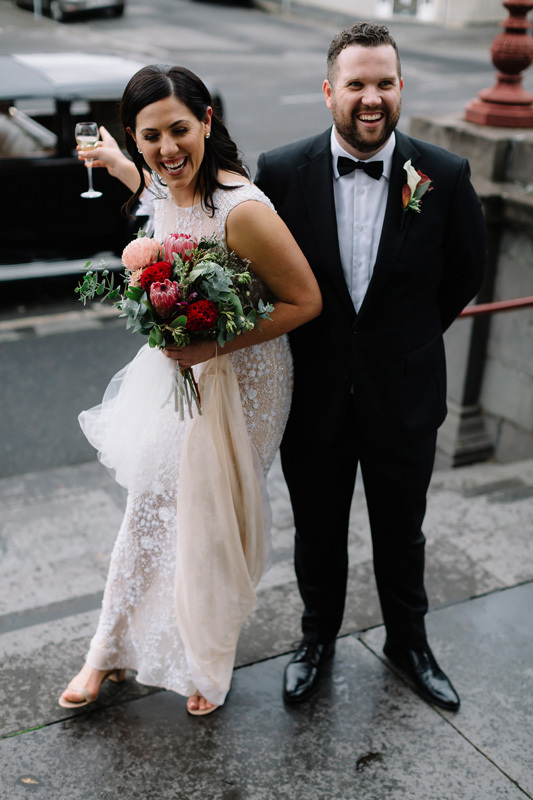 Being Melbourne-based in what the couple describes as the ‘Fitzroy/Brunswick/Collingwood bubble’, it was only fitting that the pair would exchange vows in the Fitzroy Town Hall. 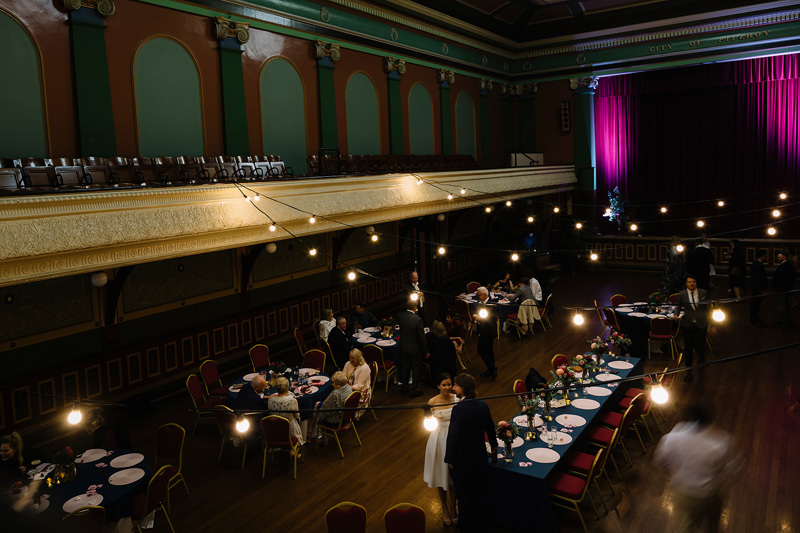 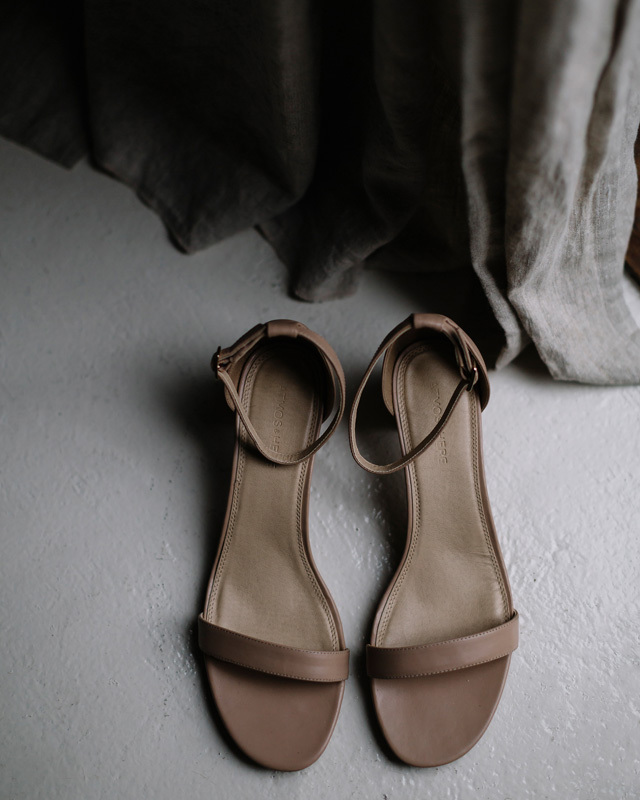 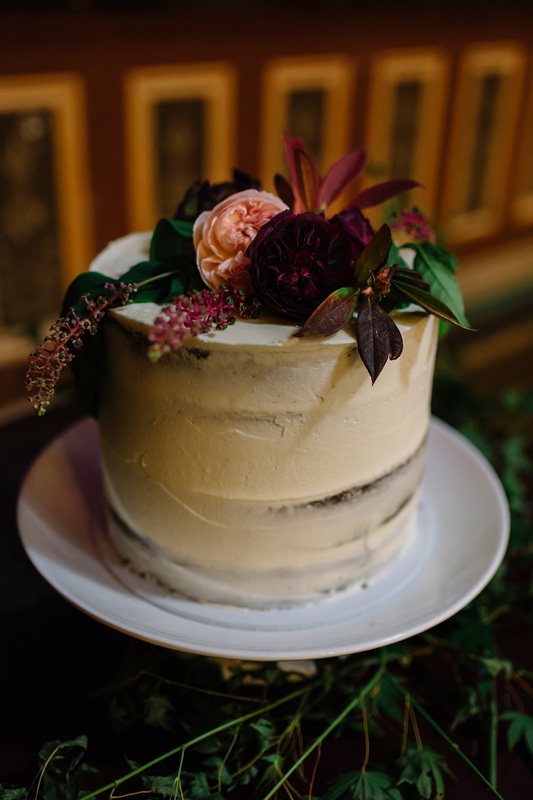 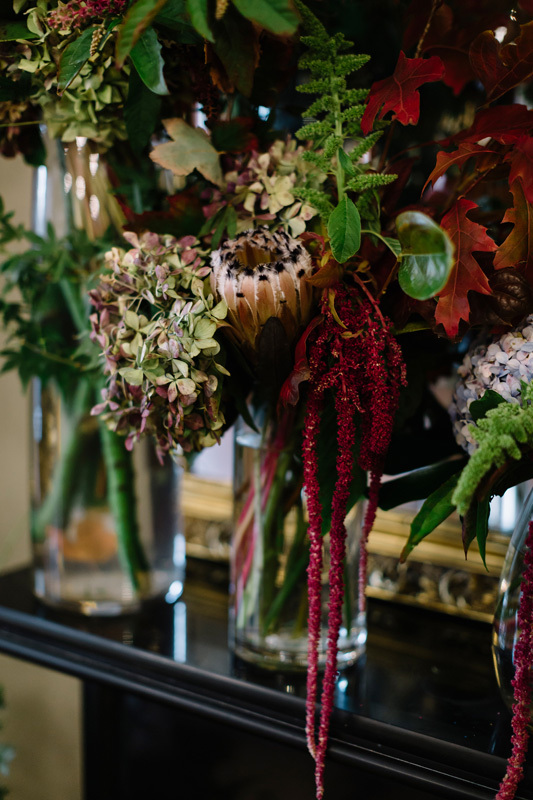 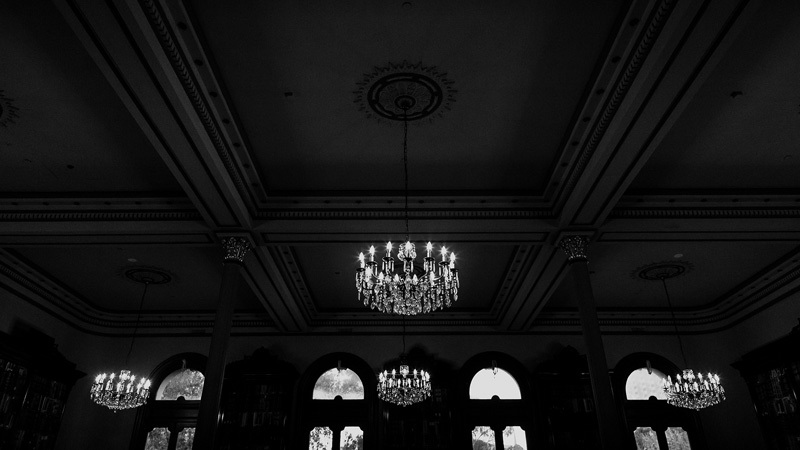 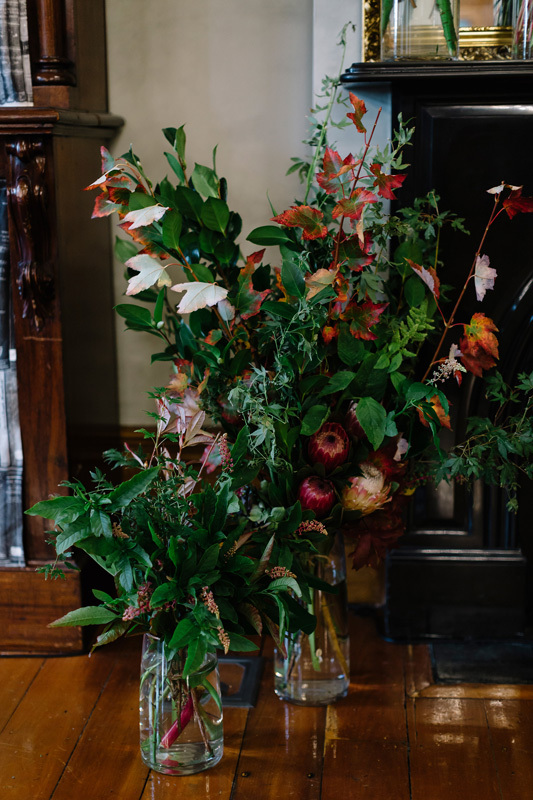 Using the historic venue as their starting point, Cassie and Chris took inspiration from the unique colour palette of the building to guide their event styling. 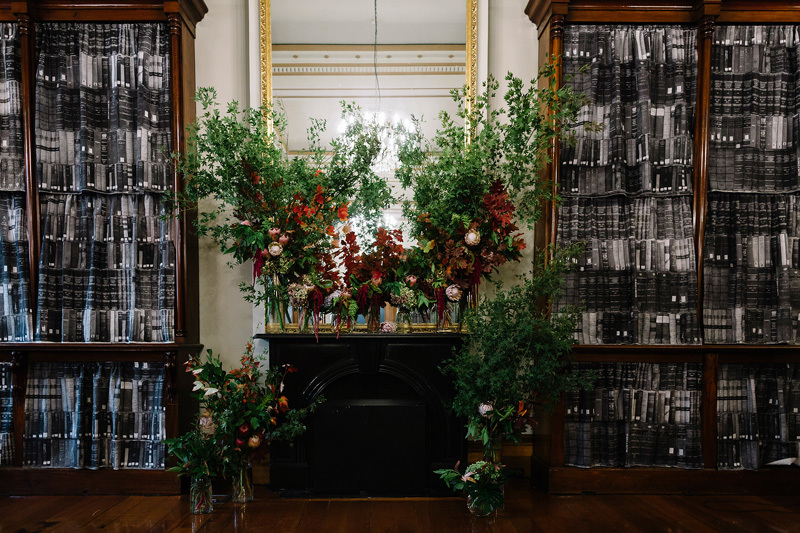 ‘The decor and flowers were centred around the colours of the building. 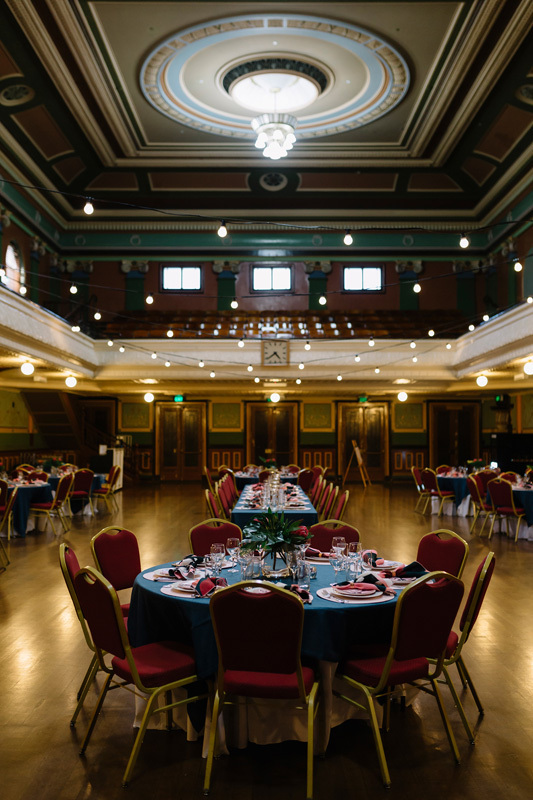 The hall has some odd colour combinations and it can be a bit weird and wonderful. 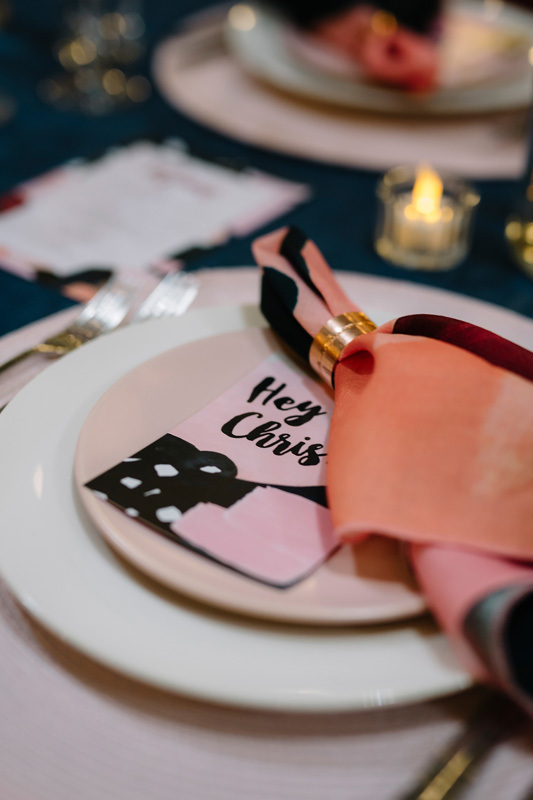 I thought it was important to play with this rich palette for the stationery and table settings. 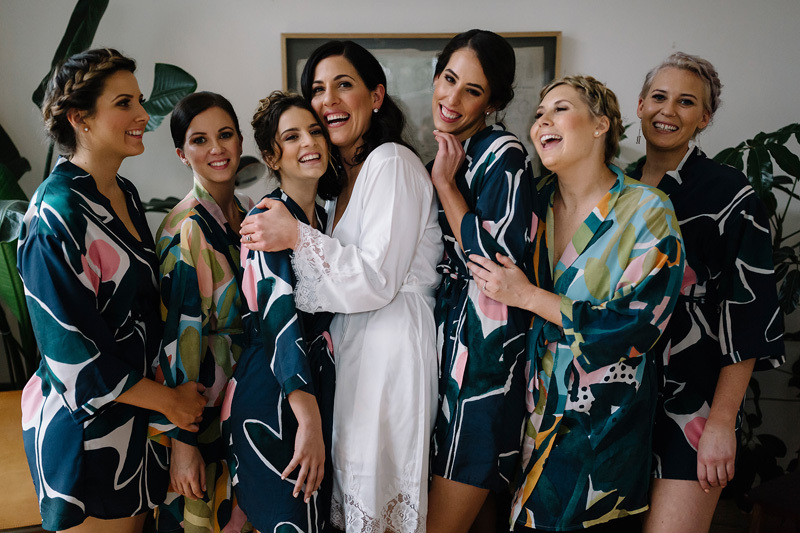 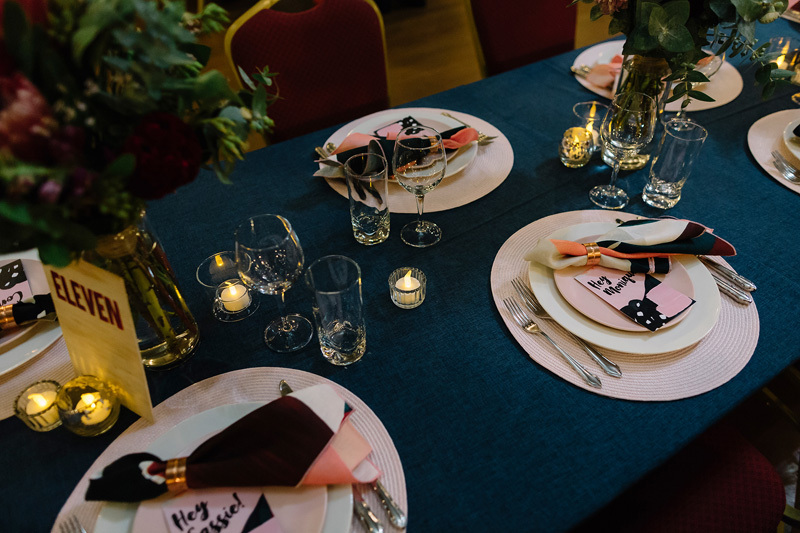 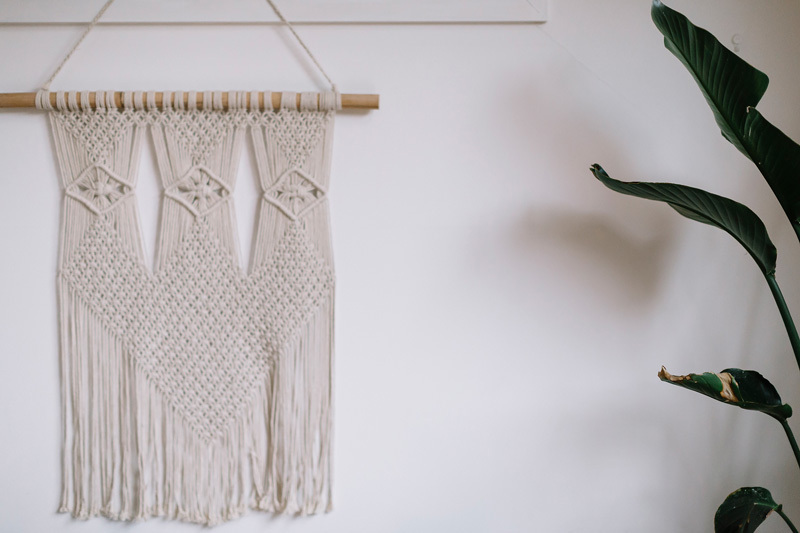 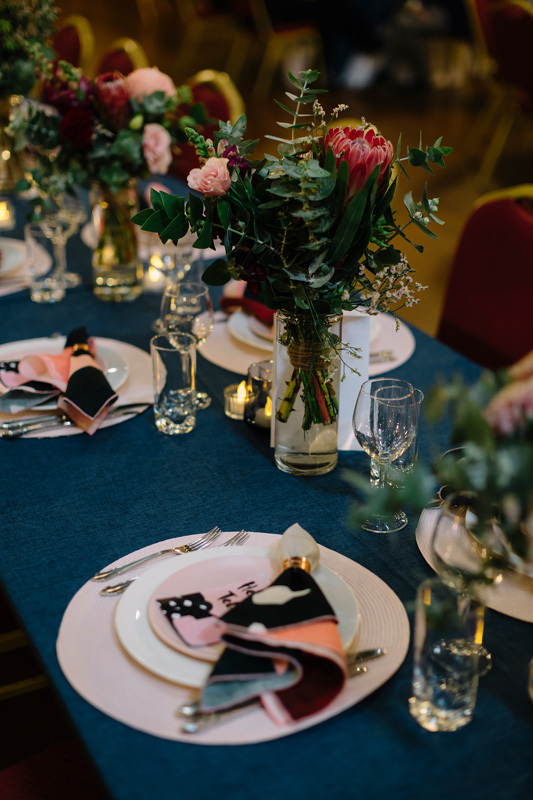 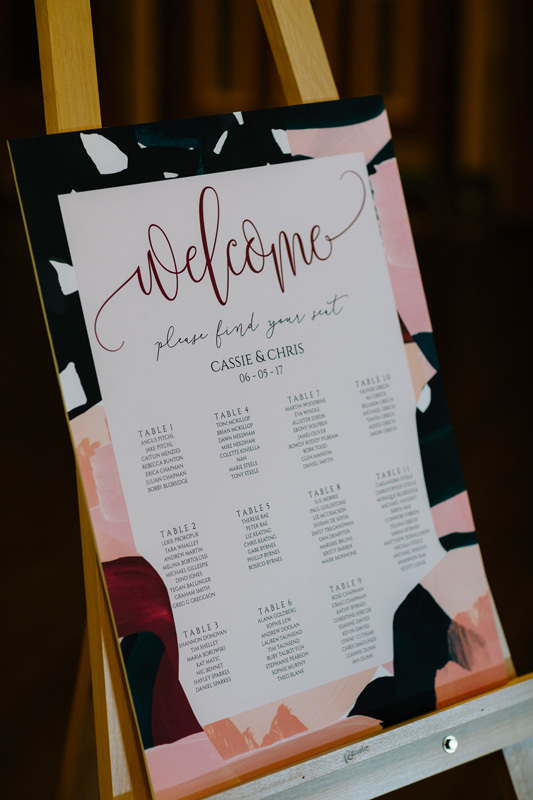 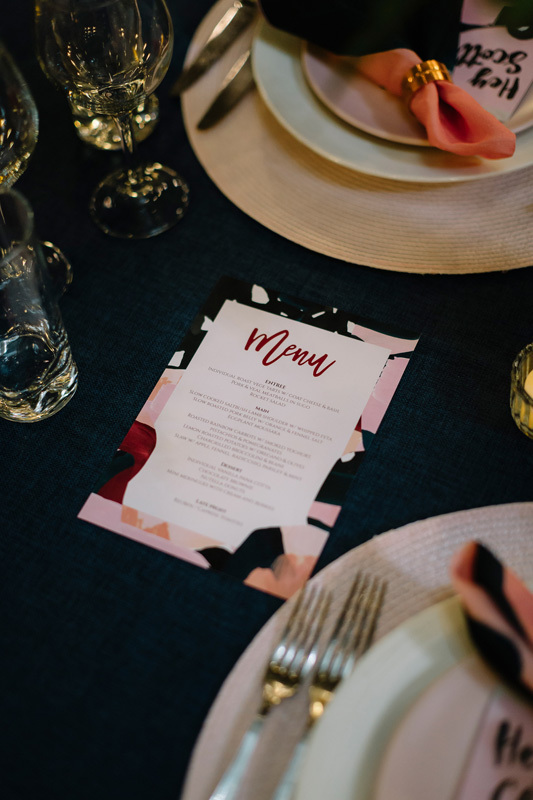 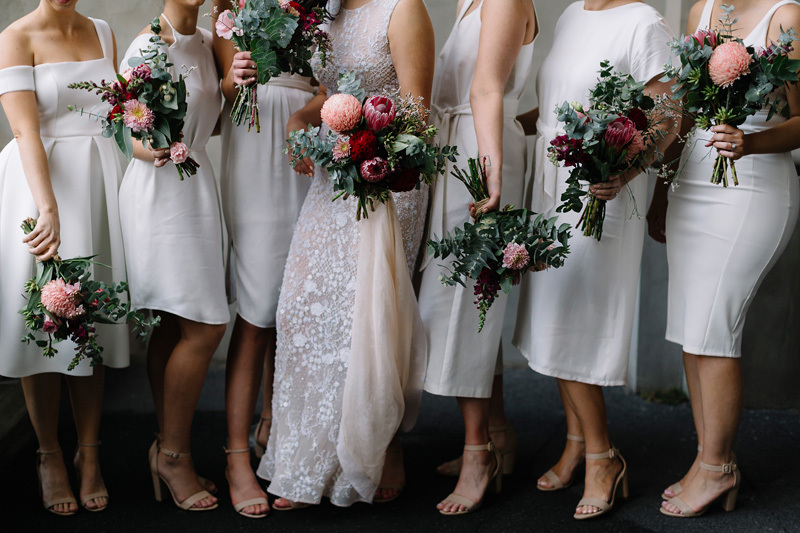 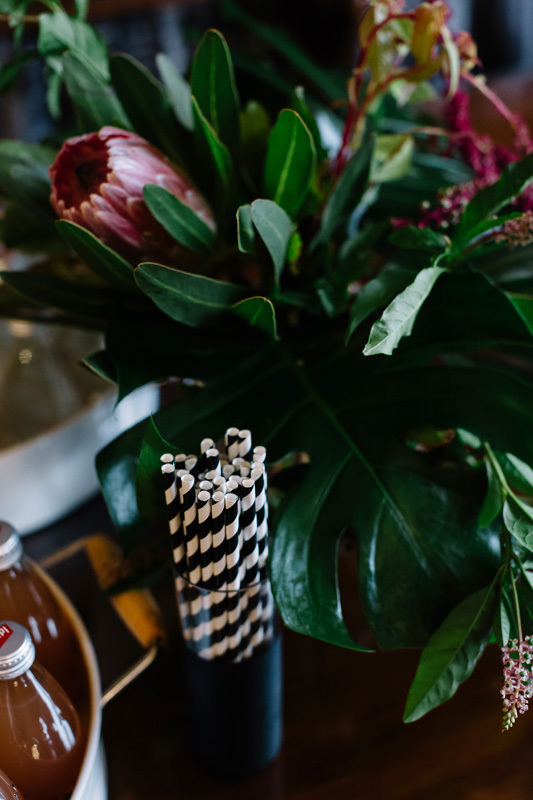 Cassie’s designer background came in handy for a number of elements throughout the event—from the DIY stationery, to table settings, favours, robes and bouquets (though looking back, she wouldn’t recommend attempting crafting bouquets yourself!). 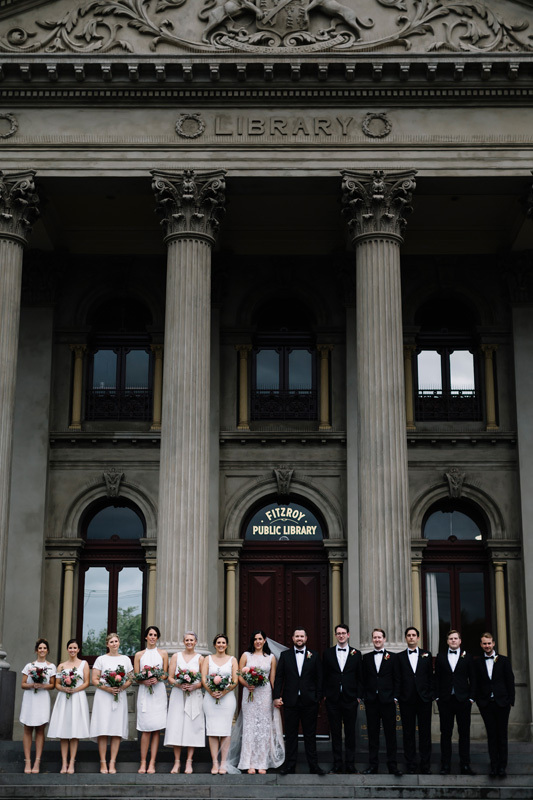 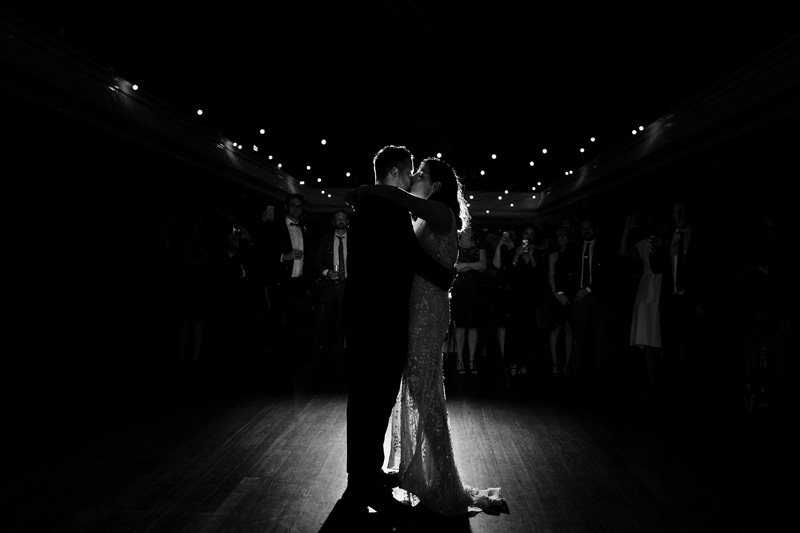 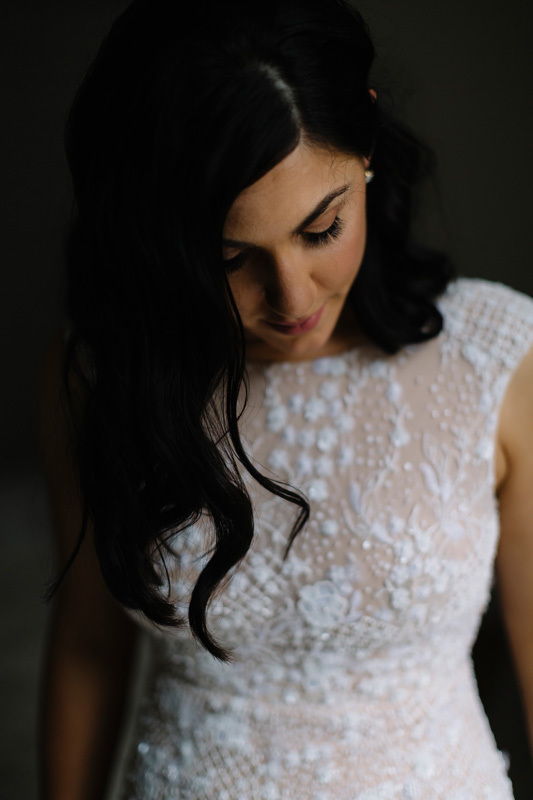 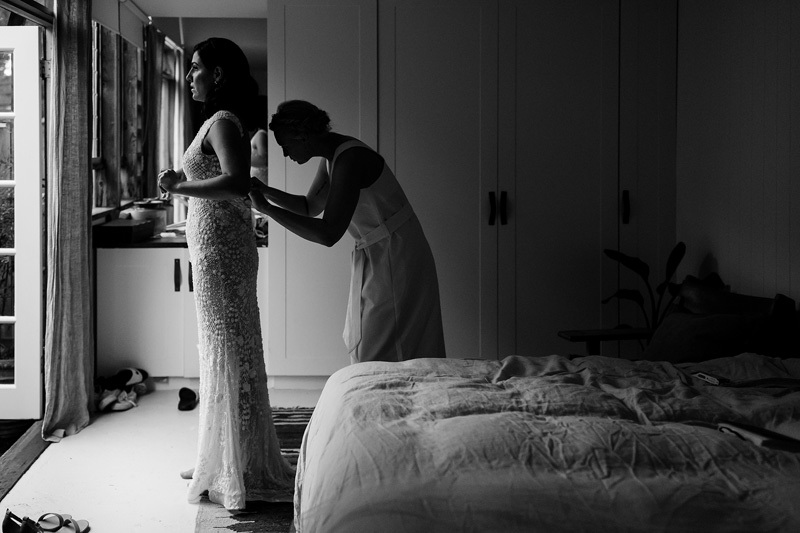 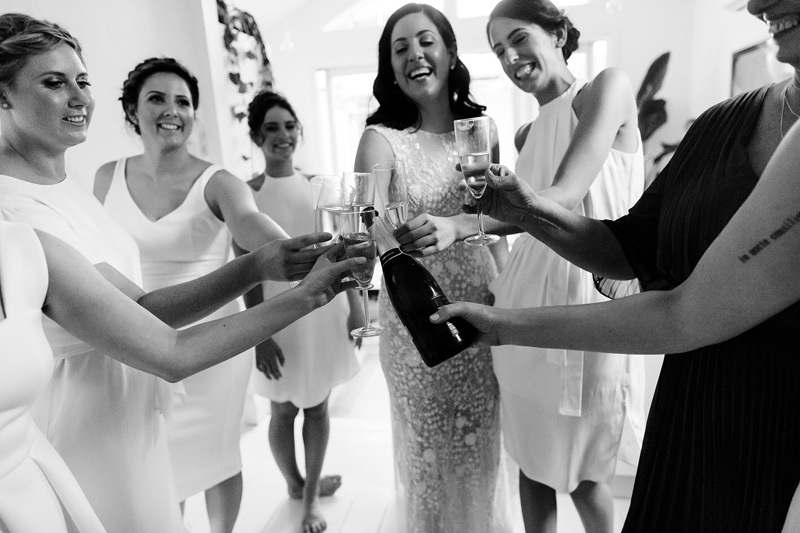 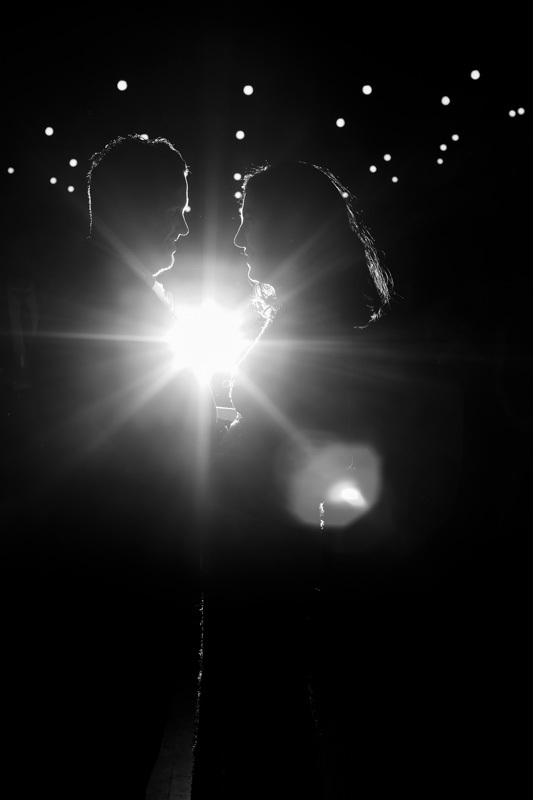 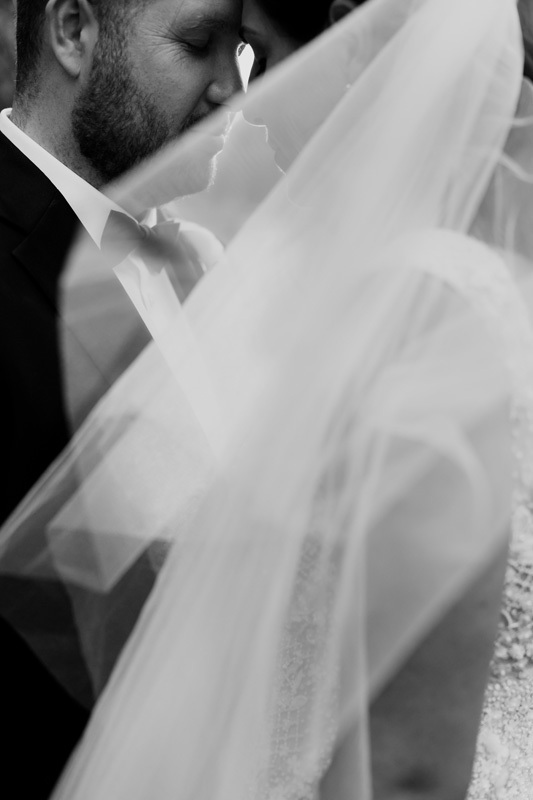 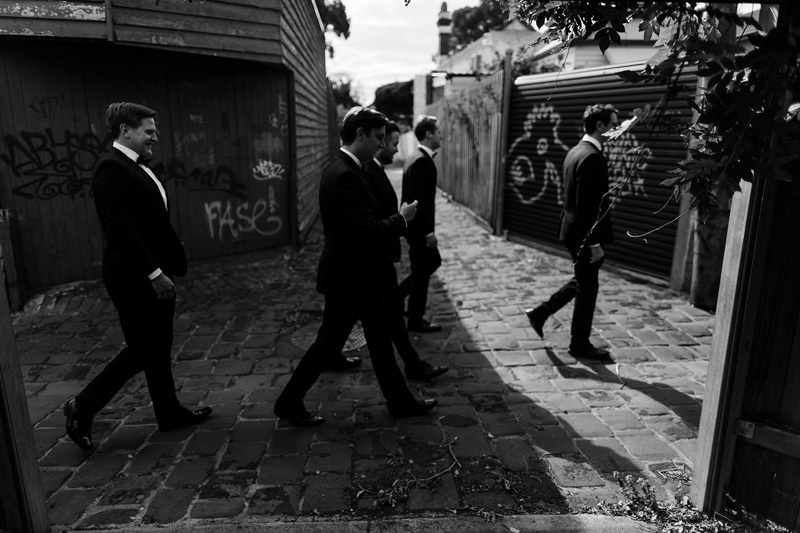 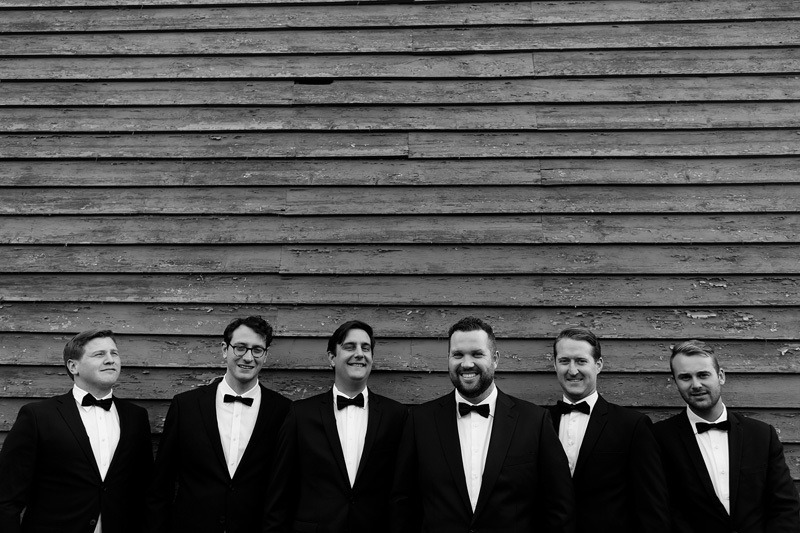 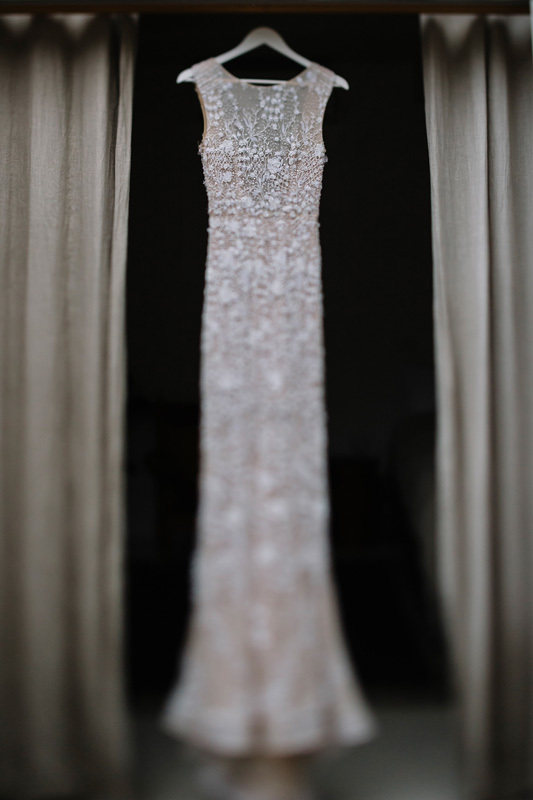 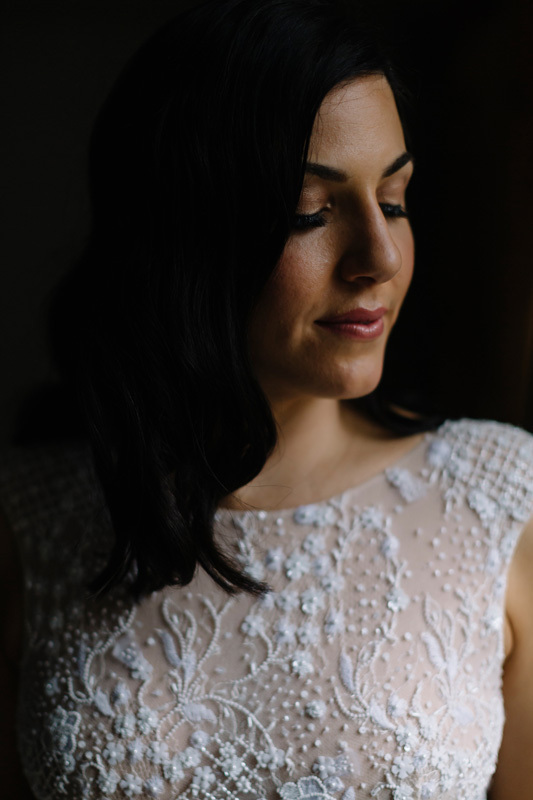 Enjoy all the images from Cassie + Chris’ wedding below!